This outdoor portable shelter from Shelter Logic gives you the perfect space to store outdoor tools and equipment. 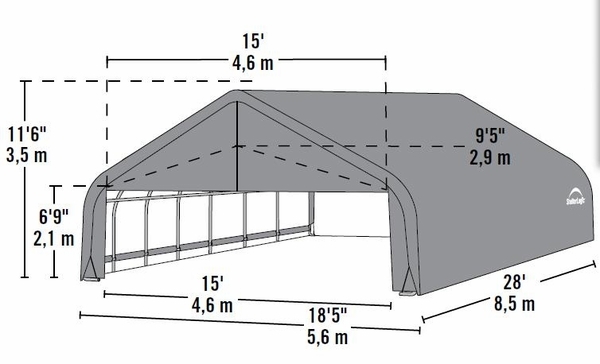 The shelter features a peaked roof and the frame is made of solid 2 3/8" steel. A unique thermoset powder coated finish from DuPont protects the frame against rust and corrosion. The entire shelter is held in place by a secure system of stabilizers and ratcheting tensioners to ensure sturdy durability. 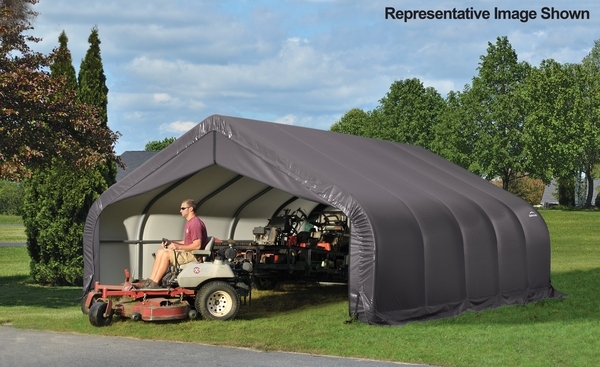 The cover is made of commercial grade 9 oz woven polyethylene that is UV treated for protection from the Sun's rays.